Fred LaCosse is well-known to San Francisco Bay Area television viewers as a veteran news anchor, reporter and talk show host. Since the beginning of his broadcasting career in 1956, he has worked at six television stations: WTTW, Chicago; WLWC, Columbus, Ohio; KNTV, San Jose; KRON and KGO-TV, San Francisco; and KICU, San Jose and held positions in almost every phase of the industry. He co-hosted the daily morning talk show A.M. San Francisco on KGO-TV (ABC) from 1982 to 1987 with his wife, Terry Lowry. LaCosse also hosted the weekly syndicated program “Silicon Valley Business This Week” from 1995 to 2001. 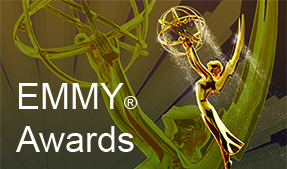 In 1978, LaCosse received an Emmy® from the Northern California Chapter of the National Academy of Television Arts and Sciences for his news feature reporting and was honored by UPI for the best news feature report in California and is a member of the S.F. NorCal Silver Circle (class of 1988). He has also received numerous awards for his community involvement. 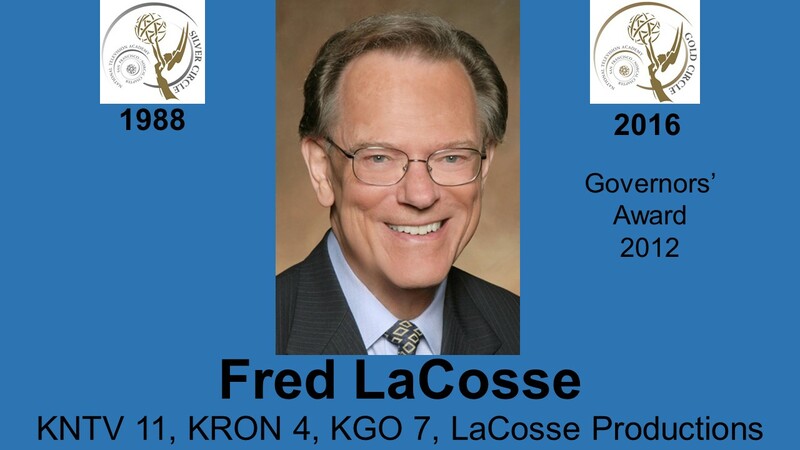 Since 1981, Fred has been President of LaCosse Productions, which produces corporate videos; conducts communication seminars on handling the news media interview, making effective presentations, and performing on camera; and provides talent services. LaCosse has generously given of his time to community and charitable organizations such as: The Janet Pomeroy Center; The Salvation Army; Laguna Honda Volunteers, Inc.; The Community Music Center of San Francisco; St. Luke’s Hospital; Red Cross; He is also active in NATAS and the Broadcast Legends.